IBM's plan to spend a whopping $34 billion to acquire Red Hat is all about the cloud. This big bet is partially a bet that the cloud gold rush isn't over, with IBM locked in a distant third place. On Sunday, Big Blue unveiled its acquisition bid for Red Hat at a price that represented a 63 percent premium over Red Hat's share price. Calling the acquisition a cloud market game-changer, IBM Chairman, President and CEO Ginni Rometty predicted that with the deal, "IBM will become the world's #1 hybrid cloud provider, offering companies the only open cloud solution that will unlock the full value of the cloud for their businesses." With earnings season winding down, analysts at Synergy Research just detailed market share estimates for spending on cloud infrastructure services late last week. As with every other quarter for as long as the market has been tracked, Amazon Web Services (AWS) is the clear No. 1, with Microsoft at a distant but strong No. 2. According to Synergy, the market share numbers are AWS 34 percent, Microsoft 14 percent, IBM 7 percent, Google 7 percent and Alibaba 4 percent. Rometty laid out IBM's view of the state of the cloud market, specifically that it's not too late for a big move. "Most companies today are only 20 percent along their cloud journey, renting compute power to cut costs," she said in the company's acquisition announcement. "The next 80 percent is about unlocking real business value and driving growth. This is the next chapter of the cloud. It requires shifting business applications to hybrid cloud, extracting more data and optimizing every part of the business, from supply chains to sales." Such descriptions of the opportunity are similar to the "digital transformation" rhetoric coming out of Microsoft over the last year. How Red Hat changes the game for IBM isn't completely clear. Much of the current market share position has to do with the massive datacenter buildouts of the last decade. Red Hat has been an open source software provider for several of the public cloud players, rather than a front-running datacenter infrastructure player. And IBM says the company remains committed to building and enhancing the partnerships Red Hat has with major cloud providers, going on to cite existing arrangements with AWS, Microsoft Azure, Google Cloud and Alibaba. "IBM is committed to being an authentic multi-cloud provider, and we will prioritize the use of Red Hat technology across multiple clouds," said Arvind Krishna, senior vice president of IBM Hybrid Cloud, in a statement. "In doing so, IBM will support open source technology wherever it runs, allowing it to scale significantly within commercial settings around the world." That there is still room for innovation and competitive shakeups in the cloud is undoubtedly true. 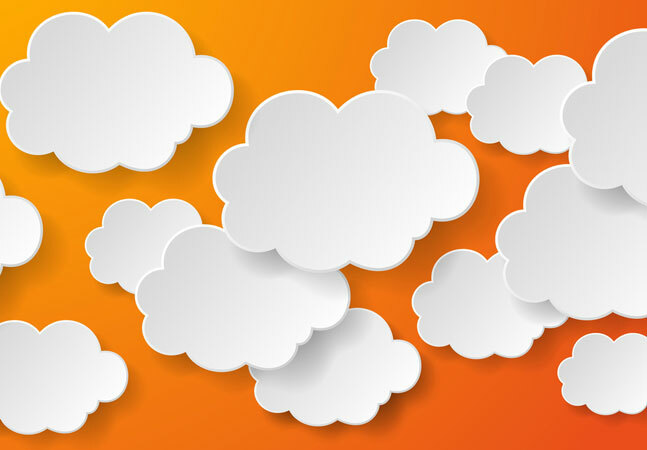 As Microsoft's and Google's ongoing investments show, none of the main cloud players is willing to cede the market to AWS. Whether IBM's acquisition of Red Hat changes its positioning in that market, however, remains to be seen.